10G XFP module which is widely applied. The hot-pluggable 10G XFP is the fiber optic transceiver which is independent of the communication protocol. Usually, it supports the wavelength of 850nm, 1310nm or 1550nm. And the 10G XFP module realizes the application of high port density easily. It will be the most potential device in the next few years according to a report from the LIGHT READING. 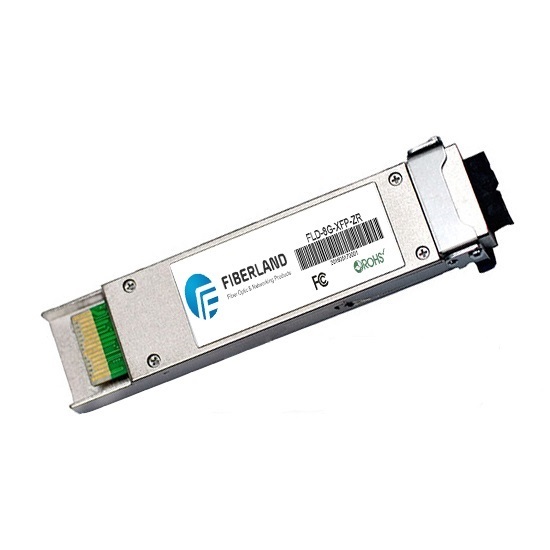 The 10G XFP fiber optic transceiver supports the 80km transmission distance with a max data rate (11.3Gps). It is widely applied in 10G SONET/SDH, 10G fiber channels, 10G Ethernet, gigabit Ethernet and other fields.